Hey, crafty friends! 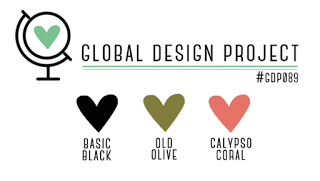 I decided to CASE my own card Tuesday for my live Facebook video, but using the colors from this week’s Global Design Project challenge. The card came out completely different from the original (you can see the original in the video), which was the whole point. I love it! 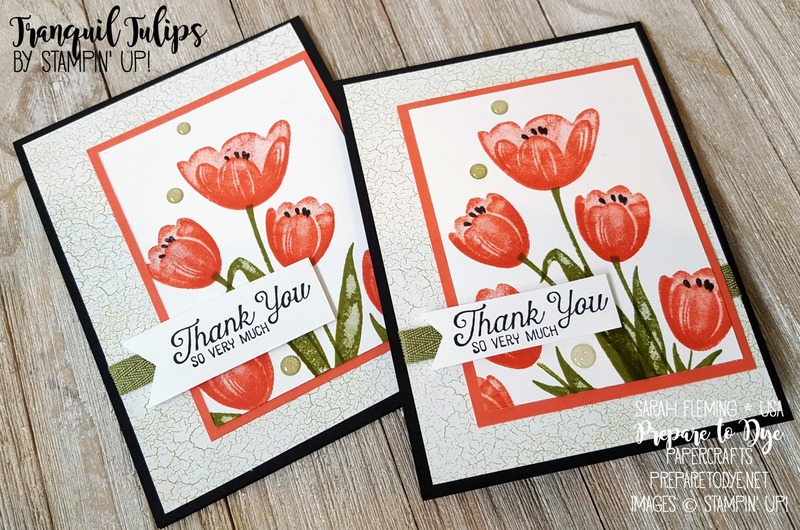 And I absolutely adore this new host set Tranquil Tulips. 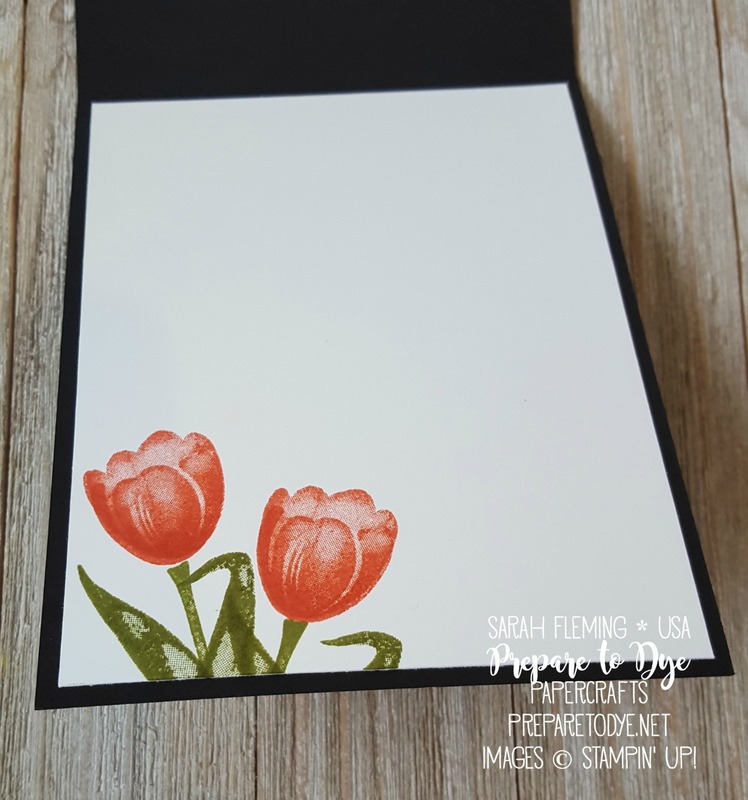 I am so not into flowers (I’ve bought very few flowery stamp sets over the years, compared to the rest of my stamping stash), but maybe I’m turning into a flower lover! 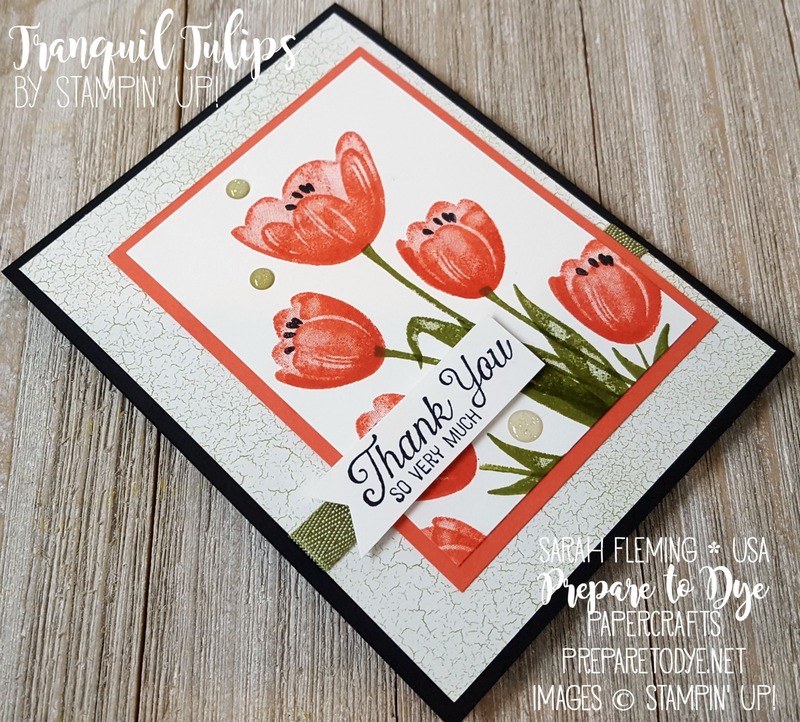 Stampin’ Up!’s flowery sets have just been irresistible to me lately. Those Glitter Enamel Dots are so perfect for this card! Not as shiny as rhinestones but shinier than pearls — just perfect. You’ll be able to get them on June 5. And that’s the Old Olive 3/8″ Mini Chevron Ribbon under the sentiment. This ribbon is so soft and delicious. You’ll see it tied in a bow in one of my projects tomorrow — it makes BEAUTIFUL bows. And look at that crackled paper in the background. It’s from the Color Theory designer series paper stack and is so beautiful. This is one of the Old Olive pieces, but the pack also has Berry Burst, Crushed Curry, and Dapper Denim. Do you love the flowers peeking out from the inside of the card? I love to decorate the inside of my card. It gives it a professional, finished look. Here’s the live video where I make the card, talk about my refrigerator sadness, tell you about my thieving toddler, and handle interruptions from two different kids who are supposed to be having their quiet time — this is pretty much every day in my house. Make sure you come back later — I will have a TON of projects to show you today, because Creative Crew projects go live today, and THE NEW CATALOG HAS BEGUN!! The ordering system is down until 1 pm CDT, but then you can go crazy. Also, I’ll be doing a special live video later today on my Facebook page to show you my top 20 items (if I can whittle it down to that many) from the new catalog, and yes, I will be able to show you the inside of the catalog! If you want to catch me live, go to my Facebook page, like it, and turn on notifications. I’m not sure whether I will go live at quiet time, when my kids are supposed to play quietly without me, or when my husband gets off work. Sometime tomorrow, depending on how the day is going! Remember I am taking signups for my Paper, Ribbon, and Embellishments shares right now. 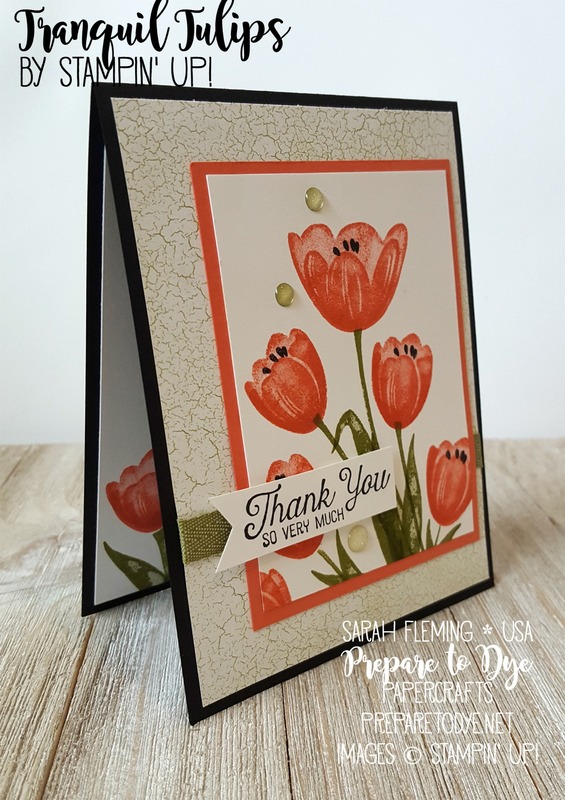 Check out the details here (including the Stampin’ Up! videos that show all of the paper). You can get all of the products I showed you in my online Stampin’ Up! store today! I will have a new Host Code for June up as soon as the ordering system is back up.